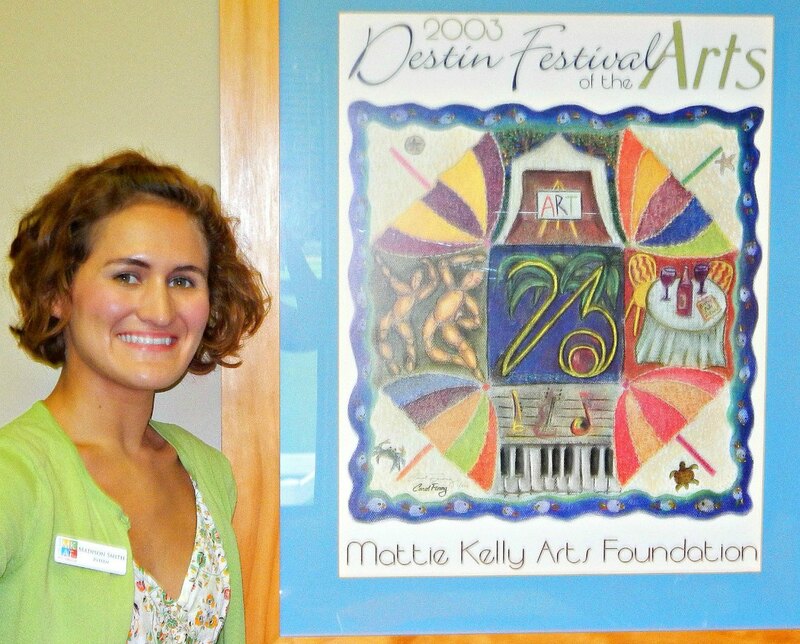 For the summer months I have had the rich experience of interning on the Emerald Coast of Destin, Florida with two staff members of the 501(c)(3) non-profit organization Mattie Kelly Arts Foundation (MKAF). My supervisors, CEO Marcia Hull and Director of Operations Deb Nissley have provided me with a wealth of knowledge on the workings of a non-profit organization that provides artistic and cultural outreach in Northwest Florida. 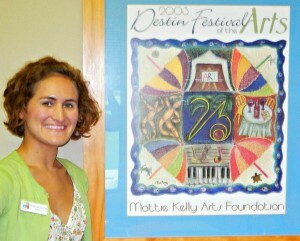 Being a double major in Art History and Studio Art with a minor in Education, I had a variety of artistic interests and found that my internship at MKAF covered many facets of what it means to be an arts organization. Throughout my internship I learned a great deal about the business side of a non-profit arts organization as well as the art education outreach component of MKAF. Throughout my term I discovered creativity and writing skills developed in my Studio Art and Art History classes as well as knowledge of technology were essential at the office. I assisted in social media as an admin of MKAF’s Facebook page, and posted event information on Northwest Florida electronic news sites. I also assisted in writing post press releases for newspapers as well as facilitated administration needs and archiving at the office. Another immensely rewarding experience was being an MKAF Representative at a summer art children’s camp, kids’ summer theatre camp and an art demo for special needs students. It was tremendously gratifying to help aid instructors and encourage children at camp and to bear witness to the lighting up of special needs students. I also had a fantastic opportunity in helping Marcia Hull with research and writing for a grant that would help aid MKAF with it’s cultural and educational goals. This internship taught me an incredible amount about a professional non-profit arts organization that is children and family oriented. I had the opportunity of interning with a passionate staff of two and an incredibly supportive board. I definitely felt that I learned so much about being a professional in the office, an arts representative during summer outreach events, and part of a cultural arts village.